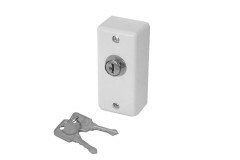 Keyswitches are switches that can be activated only by keys, usually used in businesses where only the management should have access to the switch's functions. 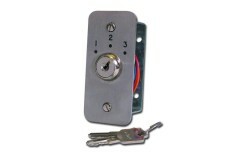 It is also very useful to be able to have only one person with the ability to operate a switch, such as in alarm systems where the key will disarm the alarm. Looking for a particular Key Switch? 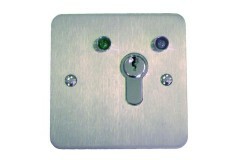 Key-operated access control panels can be very useful in access control. Whether it's used as an additional security measure, or a security override feature, they are commonly seen within access control systems. If you're not sure if a key switch would be suitable for the function you desire, or don't know which key switch would match your access control system, speak to our technical adviser Darrel (in the photo to the right). 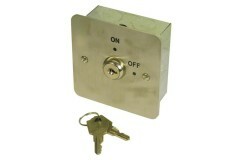 Asec KS 0661 Keyswitch 'ON / OFF' keyswitch. Available in one gang & narrow style sizes. 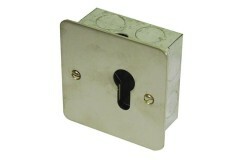 Flush m..
Asec KS 0668/9-1 Profiled keyswitch (Euro). For internal/external use. Maintained or momentory opera..